For the past three years, Onerent was able to help over 12,000 owners, manage 2,000 properties and assist 20,000 renters in 75 cities. As we’ve grown, we’ve become more obsessed in improving our product and services to provide both owners and renters with seamless rental experience, through an integration between human touch and technology. 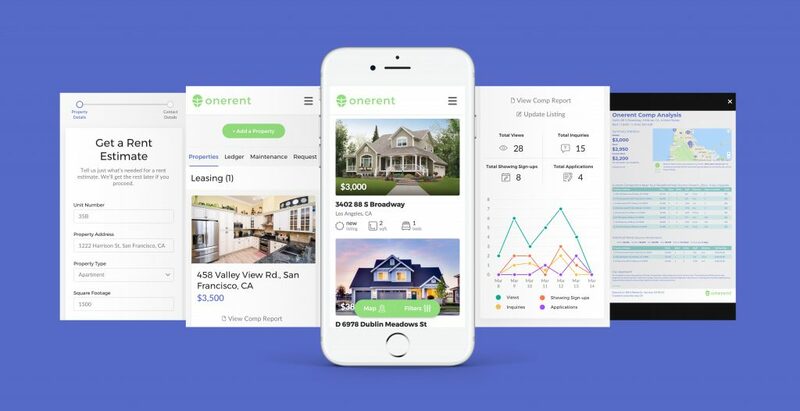 We are proud to announce the product update that our business analysts, data scientists, engineers, UI/UX designers, marketing team and our whole operations team has been working since the past year to better your rental experience with Onerent. From asking our existing renters on their rental experience from previous landlords, the most common burden we found was submitting paper applications. 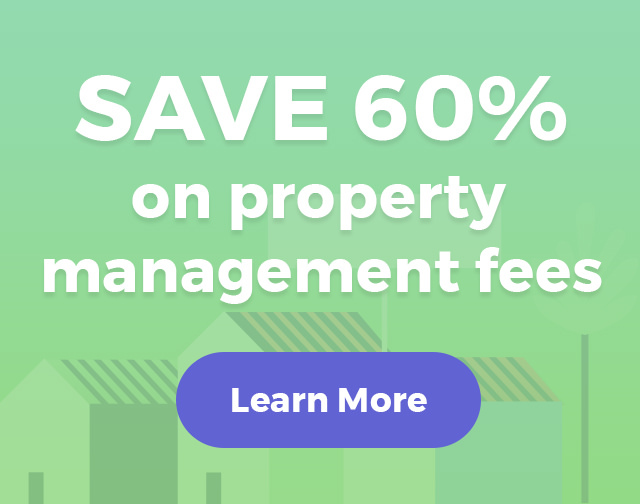 Why does there need to be a $45 application fee charged by traditional property managers? Why do renters need to drive to a leasing office and drop off an application? 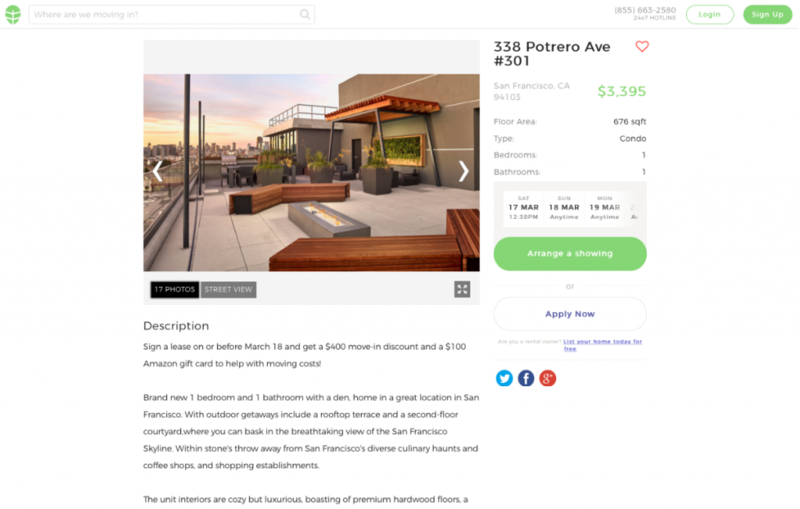 To address this issue, Onerent’s new platform launches rental applications into the 21st century for the modern renter. 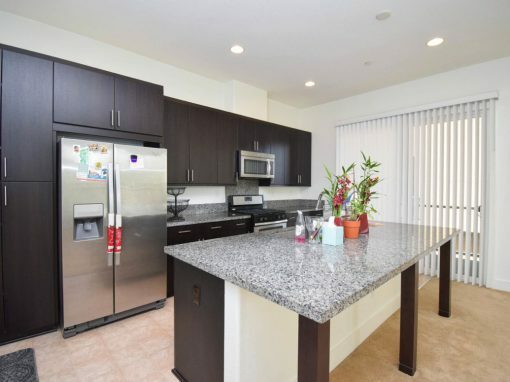 The process is much smoother than our previous applications because it guides the renter through the entire application process, leading to less confusion. All these changes have been influenced by listening to our current renters’ frustrations who have received a poor rental experience with previous landlords. We wanted to use these pain points to fuel the new product. 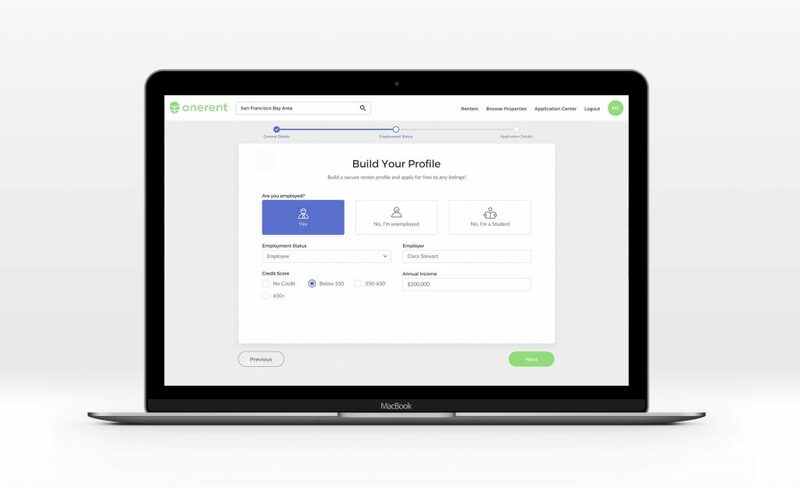 When a renter creates a Onerent account, you can build your renter profile by entering your personal details found on a traditional paper application such as employment status, employer, credit score, income, and financial supporting documents. Upon signing up, you can create a new renter group or join an existing renter group through a code. The best part is, its free. After building a renter profile, you can apply for any property within the Onerent network. No more submitting a new application per rental home. Its a purely “one and done” experience. We’ve redesigned the owner dashboard to provide more utility and value for Onerent owners. 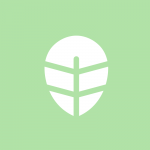 Owners can now sign up their own property all through their dashboard without contacting the Onerent sales team. By simply entering your property address, property type, square footage, bed and bath details, you can easily receive a free rent analysis to see how much your property is worth. 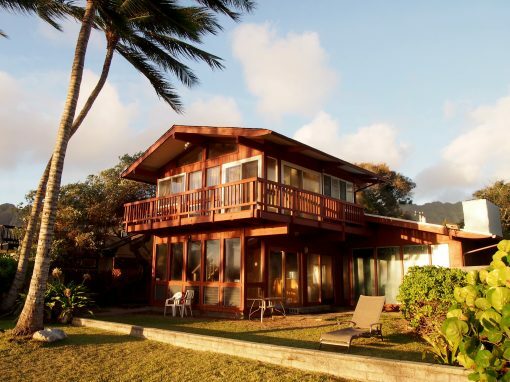 Owners can also take initiative to complete their listing by setting a rental price and qualification standards. We’ve realized most owners are communicating with their dedicated Onerent managers through a combination of their dashboard, email, phone and text. With these multiple communication channels, naturally there will be a fallout with information from every conversation. As a result, we’ve added more information onto the owner dashboard that can be easily accessibe by logging on to the Onerent website. The power our dashboard gives to owners in listing their own property and monitoring all property activity provides both transparency and utility. Owners can easily view their leasing performance per property such as, detailing the total views, total inquires, total showing sign-ups, total applications. A itemized ledger, maintenance tab, and requests log can easily be accessed on the dashboard instead of directly contacting a Onerent representative for these details. One of our biggest product redesigns has been our new browse properties pages. 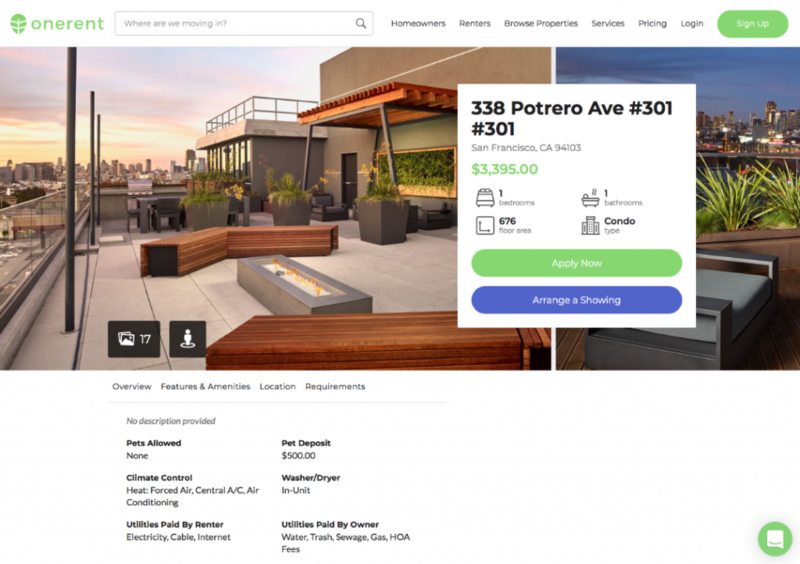 We took the existing platform and added new function and design with an emphasis on photos, a redesigned properties map, a more detailed properties page with information that is easy to understand by the renter. Renters can now find their dream home quicker with the available information displayed! Our properties page is seamlessly integrated with the booking showings and apply process. The new browse properties page can be accessed on a mobile smartphone or desktop computer. Showings are the bread and butter of the leasing process. It is the way a landlord can reel in applications and start renting to the perfect tenant. As important as showings are, it can often be executed poorly by landlords. Landlords can bundle showings into open houses, renters can cancel on showings last minute, and the worst of all, a renter can be eager to view a property but the owner isn’t available. We’ve made some changes to our showings product to create a better renting experience for all. Renters can schedule showings for any available Onerent home for any day of the week unless otherwise limited by the property’s owner. 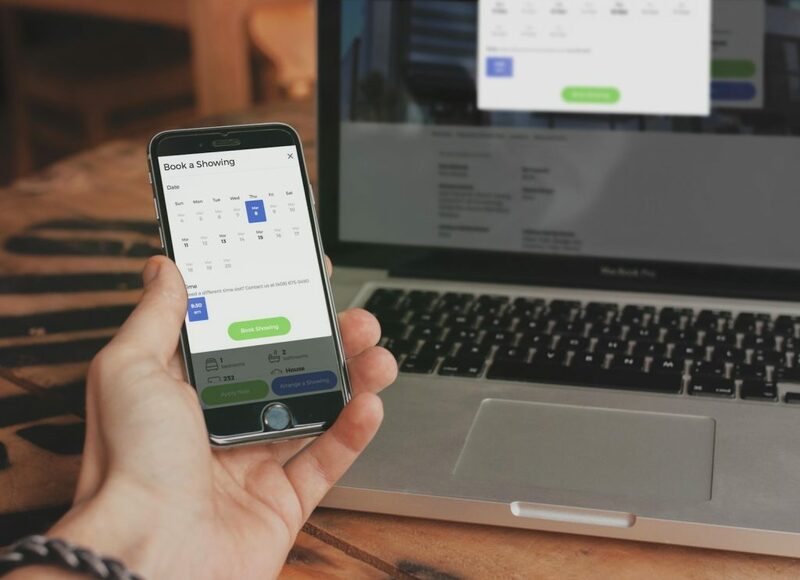 At any time and place, a renter can browse our available properties on our website, and schedule an on-demand showing any day of the week, even the same day. Our rental homes are showed by our fleet of mobile managers, meaning you will never get cancelled on a showing if the owner does not show up. In fact, the owner will never need to show another home again with our service. After the showing, the renter is asked specific follow up questions to help guide them into the free application process. The relationship between renters and their landlords have traditionally been very one dimensional. The renter essentially sends a rent check and maintenance requests to the landlord. As basic as this sounds, this experience isn’t the most pleasing. At Onerent, we believe this can be so much more. Aside from the previous product revisions we’ve shared, other updates around the renter dashboard involves a new rent payments system, 24/7 communication, and a new maintenance ticketing process. Similar to the owner dashboard, the renter dashboard has been redesigned to provide more utility and value for Onerent renters. Renters can also take initiative to build their renter profiles. We’ve came to the realization that most renters are more often directly communicating with a Onerent manager through their dashboard, email, phone and text. With many communication channels, the accuracy of information tends to dissolve. We’ve therefore added more information onto the renter dashboard as a means for renters to follow their application status, maintenance requests, and ask general inquires about their home. The fit and finish of the new website seamlessly transitions from page to page. The consistent look and feel can be seen throughout the messaging, website themes and colors, and service pages which integrate coherently with the customer dashboards. 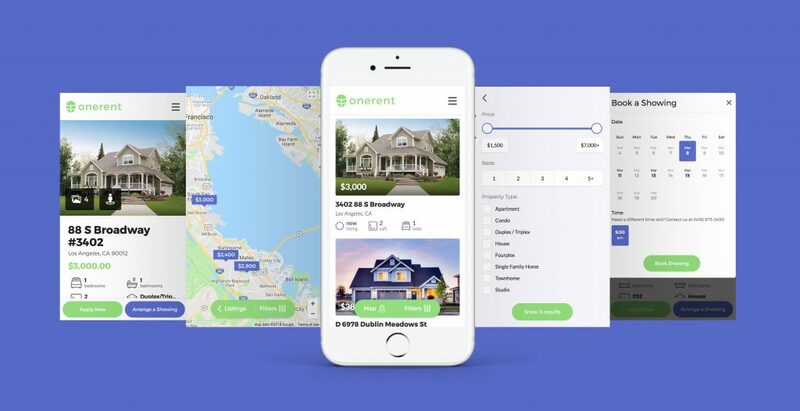 With these several product changes, Onerent provides a new way to rent for both homeowners and renters of the 21st century. The Onerent team would like to thank everyone in the Onerent Neighborhood for their commitment through our evolution over the past years. Change is never easy. Changing how we interact with our homes, is even more challenging. With every grievance voiced by a Onerent customer comes an opportunity to improve our imperfections and create a better experience for the Neighborhood. We are more than excited to give you something we’ve trully created for you. Looking to try out our new product? Schedule a free rent estimate to see how much your property is worth. Opinions on our new website?